The American Indigenous Research Association held its 2018 Meeting over Indigenous Day weekend, October 11-13, 2018 in Polson, Montana, at the KwaTakNuk Resort on beautiful Flathead Lake. Our Keynote speaker was Linda Tuhiwai Smith, author of the highly influential book Decolonizing Methodologies: Research and Indigenous Peoples. Our Friday Night Banquet speaker was Melissa K. Nelson, Turtle Mountain/Chippewa. A Native ecologist, writer, media-maker and indigenous scholar-activist, she is the president/CEO of The Cultural Conservancy, a Native-led indigenous rights organization she has directed since 1993. Workshop presenter on Thursday morning at 9:30AM was Dr. Shawn Wilson, author of Research is Ceremony. 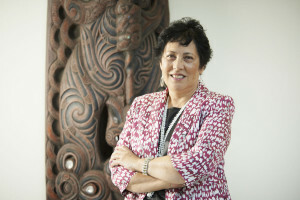 Linda Tuhiwai Smith (Ngāti Awa and Ngāti Porou, Māori) is a scholar of education and critic of persistent colonialism in academic teaching and research. She is best known for her groundbreaking 1999 book, Decolonizing Methodologies. Here, Smith traces the history of scientific knowledge as it developed through racist practices and the exploitation of indigenous peoples, and asserts a challenging vision for how research and education can be used to confront colonialism and oppression. Re-released in 2012, this book launched a wave of indigenous-led critiques of academic power and proposals for indigenized methodological interventions. One of Smith’s most important efforts is to link the history of European conquest and colonisation to the development of scientific thought, hinged on the dehumanisation of and appropriation from indigenous peoples around the world. She connects disciplines such as biology and anthropology to now discredited practices such as phrenology as examples of fields of study that evolved through the exploitation of indigenous people. Smith explains how researchers would steal the bodies of indigenous dead and experiment on them, including filling the skulls of indigenous peoples with beans to ‘prove’ their smaller cranial capacity. Rooted in practices such as these, Smith traces the evolution of the scientific process along a trajectory premised on indigenous peoples being less than human, which rendered indigenous bodies as raw materials for scientific discovery, as well as indigenous lands as open for exploration and exploitation. Deeply rooted in these racist and colonial ideologies, the findings of much scholarly research on or involving indigenous peoples have served to support the dehumanisation of indigenous life. Smith’s analysis is not simply historical, though, as she traces how scientific racism has remained foundational to academic knowledge and research practices. Combining analyses of colonialism and the academic process, Smith shows how indigenous communities continue to be exploited by mainstream scholarship. From extractive research like bio-prospecting that appropriates and commodifies the knowledges of indigenous communities, to the structural and specific marginalisation of indigenous knowledge and processes and protocols of indigenous knowledge production, to actual bodily appropriations by medical researchers in a position of power with respect to indigenous individuals, exploitation and exclusion remain startlingly common. In response, Smith calls for ‘decolonising methodologies’: a demand that research with indigenous peoples and communities should both serve the needs of those communities and also be directed by those communities. Smith has demonstrated that, although indigenous epistemologies do not follow the ‘scientific method,’ they are no less rigorous and worthy of respect. As a consequence, she has called for the academy to recognise that indigenous knowledges should not be subordinate to scholarly knowledges, but rather must be respected as parallel ways of knowing. Similarly, academic research and teaching has a long way to go in making up for the dehumanisation and scientific racism that has marked its relationships with indigenous communities. This requires indigenous scholars and supportive non-indigenous academics taking up an openly activist, anticolonial stance with respect to research design and delivery. Smith argues that the first steps in that process require academics to approach research with indigenous peoples as partnerships, with indigenous leaders and knowledge keepers driving the planning and design, fully participating in the delivery of the project, and deciding on the framing and use of the results. More fully, Smith calls for academics to relinquish control of research with indigenous people, and support the ownership of knowledge – and research results – by indigenous communities rather than the academy. Linda Tuhiwai Smith has continued to expand her work, most recently linking critiques of scientific authority to analyses of colonialism and anti-Māori bias in the Aotearoa (New Zealand) health care system. Decolonizing Methodologies remains the essential text in confronting colonialism in the academy and indigenising research methodologies and has sparked a major turn in methodological scholarship and perspectives on colonialism and research. Important works building on Decolonizing Methodologies including excellent works including (but certainly not limited to) Indigenizing the Academy by Devon Abbot Mihesuah and Angela Cavender Wilson (2004), Indigenous Methodologies by Margaret Kovach (2009), and Research is Ceremony by Shawn Wilson (2009). 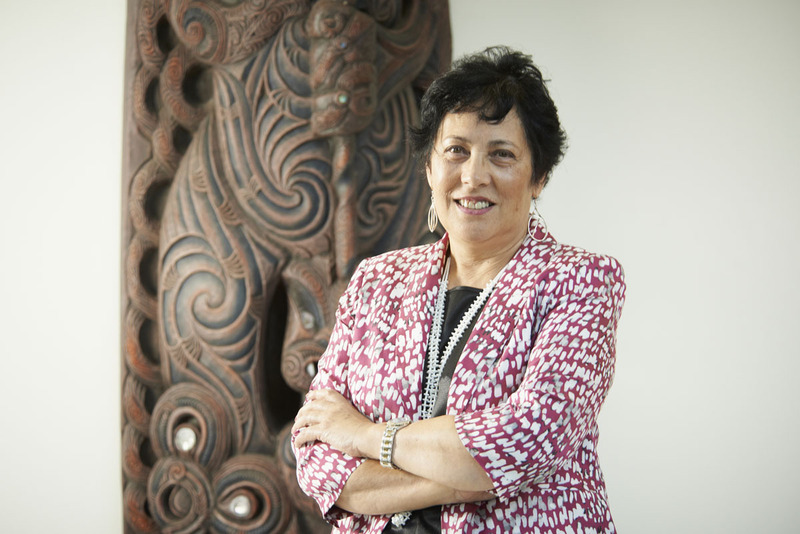 In 2013, she was named a Companion of the New Zealand Order of Merit (CNZM) for her work in support of Māori education. Eduardo Duran was born in Northern New Mexico and at age 14 his family of 6 children and parents moved to California in order to escape economic hardships of poverty. The move did not resolve the hardships and in a way made them somewhat worse as the family had to work as migrant field workers in order to simply survive. The hardships eased somewhat as the family became a bit more economically stable and by 17 Eduardo decided to join the military as a way to gain an education that would otherwise have not been possible due to economic hurdles. Eduardo was able to complete extensive electronic training and served on board Naval surface vessels as well as submarines. Eduardo was deployed to the western Pacific twice where he served on patrol on “Yankee Station” in the Gulf of Tonkin during the Vietnam War. In addition, he also served on other missions in other parts of the world. The first college course Eduardo took was on a submarine tender at the submarine base in San Diego. This course was the launching of his educational career as it validated to him that he was able to do college work. When he was discharged Eduardo worked as a lab technician on specialized electronic equipment and later worked as an engineering psychologist for Naval Ocean Systems. As he progressed through a master’s degree Eduardo found that his spirit was no longer compatible working for defense and military systems. At that time he decided to begin the journey into the clinical realm of psychology and healing. Eduardo was admitted to a doctoral program where his life was turned upside down by the events that occurred shortly after that. Early into the course work Eduardo was hired to develop a mental health program for a tribal consortium. The initial work on the project let Eduardo know that the Western paradigm was falling short of what the Native community required in order to heal from what later became known as historical trauma. It was at this time that Eduardo unknowingly met his ‘root teacher’ disguised as a patient. The relationship with this holy man gave Eduardo the seeds that have evolved into the theoretical and clinical work that he writes about and works with on a day-to day-basis (more on this story in his book “Buddha in Redface”). Several papers and books have been published by Eduardo as he continues to unravel the teachings that were transmitted to him by his root teacher and wise beings he continues to relate with. Eduardo lives and works in Bozeman Montana with his wife Judith Firehammer and his daughters Katirie and Anaya. Melissa K. Nelson is Turtle Mountain/Chippewa. A Native ecologist, writer, media-maker and indigenous scholar-activist, she is the president/CEO of The Cultural Conservancy, a Native-led indigenous rights organization she had directed since 1993. She is also associate professor of American Indian Studies at San Francisco State University where she teaches courses in Native Science. Her work is dedicated to indigenous rights and revitalization, biocultural heritage protection and environmental justice, intercultural solidarity, and the renewal and celebration of community health and cultural arts. For nearly two decades Melissa has been involved in the Native American food movement in North America and since 2006 in the indigenous food sovereignty movement internationally. Melissa is a Switzer Environmental Fellow and has received awards for documentary films, community engagement, and experiential education. She publishes essays in academic and popular journals and books and documents Native issues through audio and video recordings. Her first edited anthology Original Instructions – Indigenous Teachings For A Sustainable Future (2008), focuses on the persistence of Traditional Ecological Knowledge by contemporary Native communities. Her next edited anthology, Keepers of the Green World: Traditional Ecological Knowledge and Sustainability will be out in 2017. She has served on numerous boards of directors, including Earth Island Institute, Bioneers, and the Center for Whole Communities. Melissa is Anishinaabe, Cree, Métis, and Norwegian (a proud member of the Turtle Mountain Band of Chippewa Indians). Spring of 2019 Lori Lambert will be teaching Indigenous Methodologies for South Dakota State. The course is totally online with no visits to campus. Cost is $450.90 / credit hour and it is three credits. Course starts January 7, 2019. Students can go online for instructions on how to sign up as a non-SDSU student. To receive information about AIRA meetings, including important registration deadlines and the annual call for papers, you must SUBSCRIBE TO THE MAILING LIST for our news page. To do that, visit airanews.wordpress.com. Follow the conversation on Facebook!